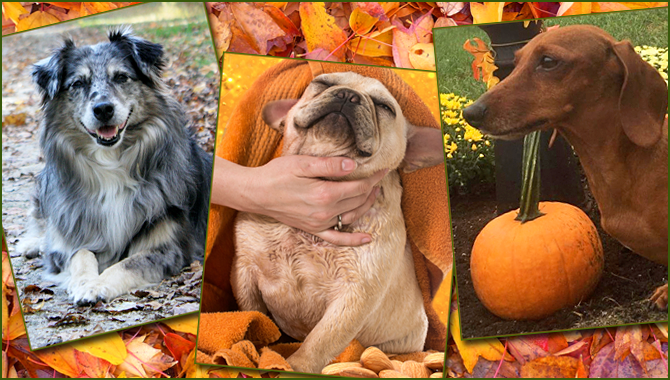 Purr’n Pooch gives thanks for our friends this November with retail specials and more! All month long our guests enjoy playtime with friends, a spa special and holiday time with our loving,around-the-clock staff. Be sure to make your reservations for holiday boarding as space books quickly. 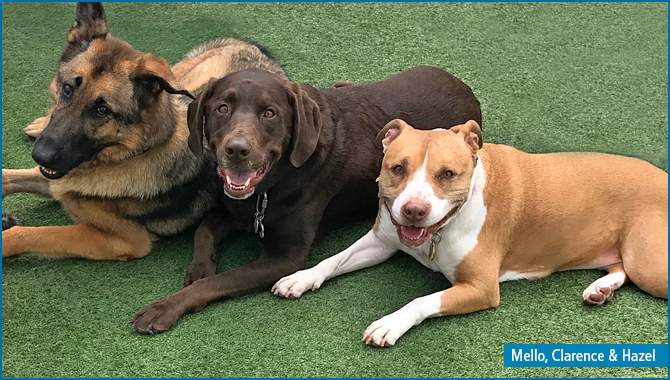 Pups in boarding and daycare will enjoy treats and games on our playgrounds as they celebrate the birthdays of their friends born in November. Enter our Annual Holiday Photo contest by submitting photos by November 30 to info@purrnpooch.com. The winning pet receives one night stay and a day of play. The photo will also be the cover image for Purr’n Pooch’s holiday card. Deadline for 2017 Purr’n Pooch Foundation for Animals’ Grant Applications is December 31. Visit PurrnPoochFoundation.org for more information. Join us as we collect pet supplies and food at both Purr’n Pooch Pet Resort locations. Drop off at reception. 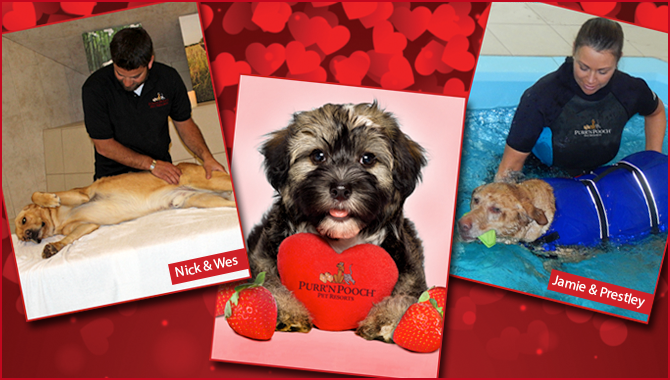 Support animals in need through the Purr’n Pooch Foundation for Animals. Shop at Benefit Wines and Charity Wicks. A portion of your purchase will support the grantees helped by the Purr’n Pooch Foundation for Animals. Now you can support Purr’n Pooch Foundation for Animals this holiday season all while staying green. Purr’n Pooch Foundation for Animals is proud to partner with Lynch Creek Farm to offer handcrafted wreaths, centerpieces and swags using fresh evergreens from the Great Northwest. Buy your holiday decorations and gifts direct from their farm and you’ll be glad you did, all while supporting the Foundation. Indulge your pet in a luxurious honey almond shampoo, mud conditioning treatment, toasted almond cologne and teeth brushing. $25 plus cost of bath and grooming. Call 732.842.4949 (Tinton Falls) or 732.528.8100 (Wall). Available for purchase – the perfect stocking stuffers! 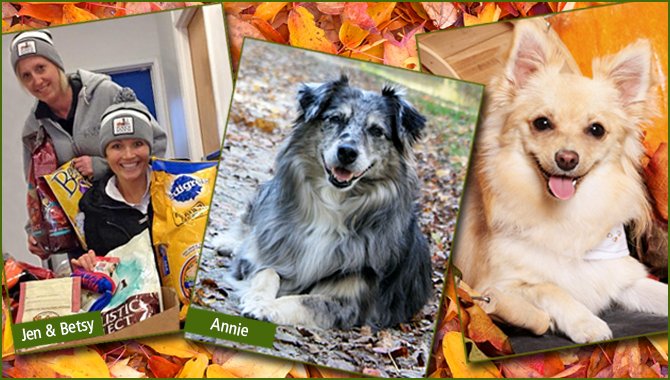 Autumn is “pawesome” at Purr’n Pooch! This month, our guests will enjoy the cooler weather playing with friends on our dozens of playground. It’s also a month full of Halloween costume contests and parties, a pumpkin spice spa special and a First Aid Class in honor of National Animal Safety and Protection Month. 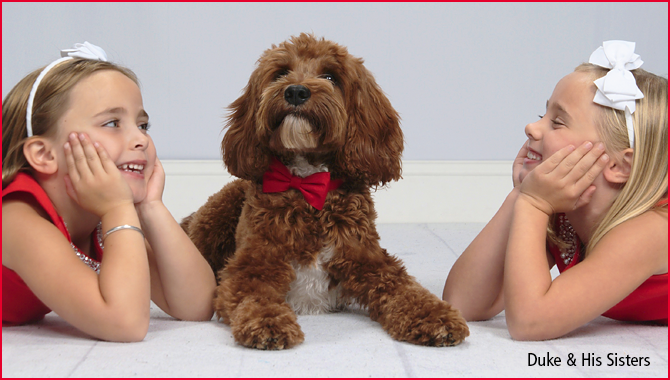 Call us in Tinton Falls at 732-842-4949 or in Wall at 732-528-8100 to make your pet’s reservation. Be sure to also reserve your pet’s stay now for the holidays. Pups in boarding and daycare will enjoy treats and games on our playgrounds as they celebrate the birthdays of their friends born in October. Tuesday, October 25 ~ 7:00 a.m. -3:00 p.m.
Our guests have a howling good time at our annual Halloween party! They will bob for bones, chase ghosts on the playground, and play with friends. We also host a costume contest and the winner is awarded a day of daycare. 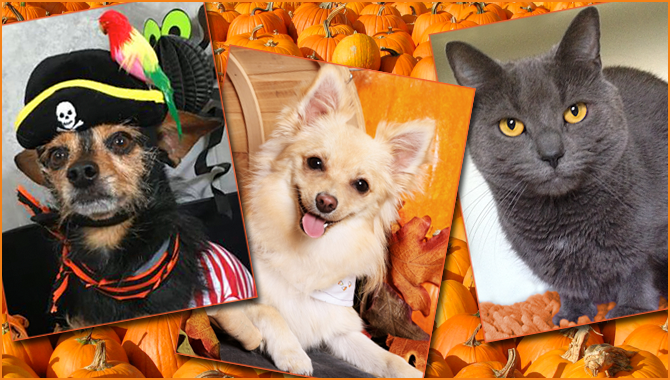 Enter your pet’s pic in Purr’n Pooch’s Halloween Facebook Photo Contest! Submit your pet’s best costume photo October 10 – 19 to info@purrnpooch.com. We will post all entries in an album on Purr’n Pooch’s Facebook page. Invite your friends to like your photo on Purr’n Pooch’s Facebook page through November 1 at 10 p.m. Photo with the most “likes” wins a one-night stay with personal playtime. Sunday, October 23 ~ 10:00 a.m. to 1:00 p.m.
Join our staff for a First Aid Class with First Aid & CPR, LLC in honor of National Animal Safety and Protection Month. Cost is $45. Email info@purrnpooch.com to register. Sunday, October 9 ~ 12:00 p.m. – 5:00 p.m.
Join us at the Monmouth County SPCA, 260 Wall Street in Eatontown, for the annual Blessing of the Animals event featuring all animals, faiths, food trucks, entertainment and over 40 vendors including Purr’n Pooch Pet Resorts. Saturday, October 29 ~ 2:00 p.m. – 4:00 p.m.
Join us at a fundraiser and costume contest for Wag On Inn at the Rumson-Fair Haven Regional High School baseball fields. Vendors, music and food. Our gentle, conditioning Pumpkin Spice Shampoo gently cuts through dirt without stripping natural oils and infusing your pet’s coat with aloe and sunflower oil. Special also includes Pumpkin Spice spray and teeth brushing. $18.00 plus cost of grooming or bath.